If you have a dog then you must love living in Huntington Beach, CA, given that it has the only beach in the whole of Orange County where you’re allowed to let dogs off their leashes. Whether you have an energetic pooch to keep up with or some surfing aspirations – or maybe you just want a bit more energy for a surf-side walk in the evenings – you need to make sure your diet is great. 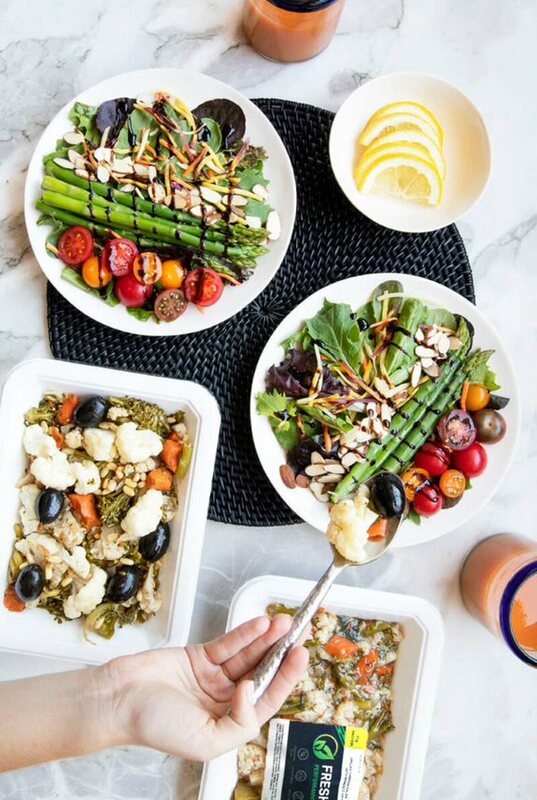 Our vegan meal delivery service operates throughout Huntington Beach, bringing you up to three delicious meals a day that you just need to pop in the refrigerator and then warm up when its mealtime. Professional chefs have carefully created every single recipe, taking into account your protein, fiber and carbohydrate needs. Our nutrient-rich dishes can be brought straight to your door with our vegan meal delivery service, wherever you find yourself in Huntington Beach, CA. Packed with fresh, locally sourced in-season produce, you’ll find something to suit every whim and fancy in our extensive range. It’s all premium quality, but it doesn’t come at a premium price. For just $14.99 a day you can free up your Huntington Beach evenings for time with friends and loved ones. Our 100% plant-based meal plan might appear intimidating at first: is it really possible to be healthy with a completely organic, vegan diet? Our vegan meal delivery service operating throughout Huntington Beach, CA seeks to prove our point that this way of eating will change your life forever. You’ll feel re-energised and ready to tackle anything, keen to get down to the beach and work on your fitness and achieve any weight loss goals. It’s time to take control of your life in Huntington Beach, and the best way to do that is through a diet that will create a healthy mind in a healthy body.